Reading is fundamental to learning. This year I decided to push my students to have FUN with reading and develop a love of different authors and texts. 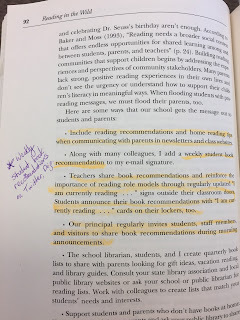 This came after I read two amazing books this past summer: Reading in the Wild by Donalyn Miller and Kids Deserve It by Todd Nelsoney and Adam Welcome. These books have really opened my eyes to a number of possibilities when it comes to student growth in reading. Something that I personally wanted to improve in this summer. After spending part of my summer running my father to his knee surgery and then to all of his physical therapy appointments, I had a lot of time to read. I dived into these two books and just marked them up. I found so many ideas that I wanted to tweak and make my own. I got so excited in fact that I was sending my colleagues screenshots of ideas and notes of all the thoughts that had my head spinning. 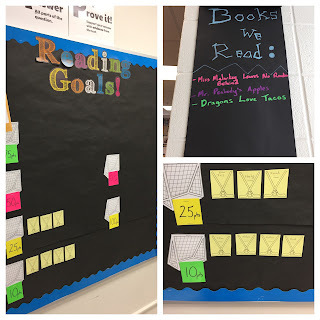 I even started typing plans for my first few weeks to promote reading in my classroom. I'm not gonna lie, every year I finish teaching there is a moment of true tiredness. I feel burnt out and wonder if I will feel that spark again, but within a few weeks of break, I spring back. I dive into a book for inspiration or do something that makes me truly happy and allows me to get the energy to start again. It's all about finding moments of rejuvenation and places of inspiration. Reading those books inspired me not only to ramp up reading in my classroom but to create something to inspire reading school-wide. So with big dreams and crazy ideas, I began sketching out a school-wide reading challenge. I decided to create a challenge that was different than previous years. 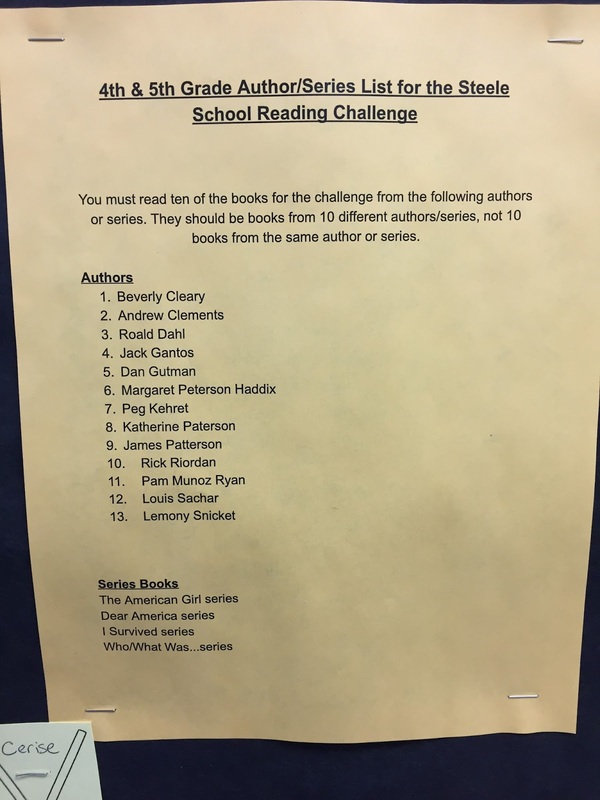 Prior to this year, we had a district-wide challenge that required 4th and 5th-grade students to pick 12 books off a list of 24 books and read them in order to attend a fun activity at the high school. The books for the 5th-grade list were great books, but most of them were too high for my students to read and understand independently. 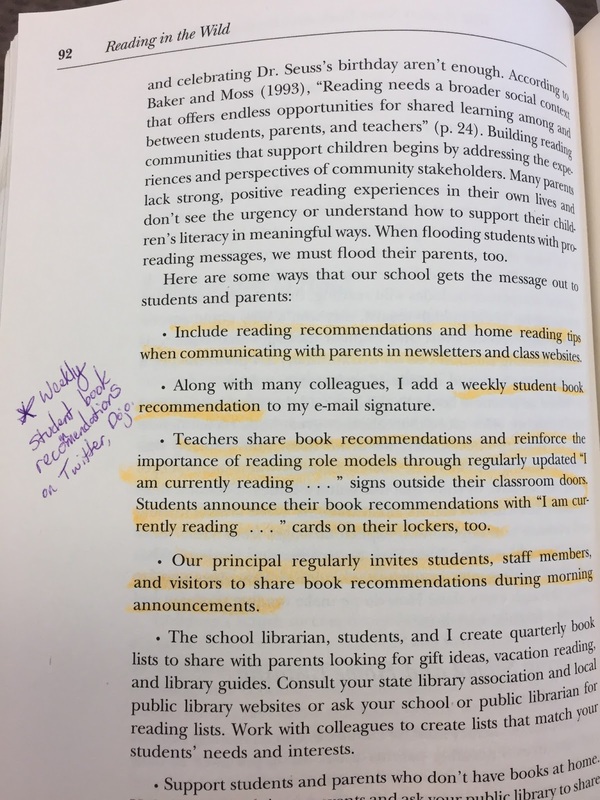 I wanted the reading challenge to expose students to more books, but not restrict them so much that they feel they can never complete the challenge. I decided to set a basic goal of 20 books to be read by April for all students. I wanted to create rewards for students when they met the goals of 5, 10, 15, and finally 20 books. This was to let them experience success and encourage them to keep going. After meeting with my colleagues we came up with some simple rewards to encourage students and that didn't break the bank. For 5 books students got a piece of candy and a bookmark. For 15 books students once again had to reach a certain date to receive the opportunity to eat school breakfast in the cafeteria while listening to music. After that date, they got a rice crispy treat. For 20 books they got to meet the Wizards basketball team when they came to our school to promote our district fundraiser game. They also got an outdoor lunch and extra recess time. I can't express enough how important it was to have everyone involved. This idea was a great starting point, but after hearing from my K-1 colleagues I knew that it would have to be tweaked to work for the younger grades. We ended up doubling the number of books that needed to be read for those students. This was due to their books being shorter. Later on, we also created a raffle for the students who read beyond the end goal of 20 or 40 books to keep the strong readers still amped up and encouraged to read. My colleagues came up with so many ideas and promoted the challenge in their classrooms in different ways to make it a true success. Some teachers created classroom charts, fun bulletin boards, or even celebrated the readers in their class in special ways. We also decided to create a school-wide bulletin board that took up a large chunk of the hallway. 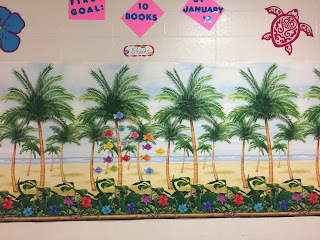 Student's names were added to the board after they completed each goal. They were also announced on the morning announcements to congratulate them school-wide. In the end, I chose to encourage the older students to read 10 books of their choice and read 10 from our list. My hope was for students to try some books from different authors and series that might get them hooked on reading. This worked GREAT! Students would tell me how much they loved certain books and even encouraged their classmates to read them. I loved seeing my students try new books and enjoy them fully. It brought so much joy when they would proudly tell me that they passed the AR test and how much they loved reading the book. I know AR is one of those polarizing things. Some people love it and others hate it. In case you didn't know AR stands for Accelerated Reader. It is an online book testing site. It has a number of books that students can take multiple choice comprehension tests on. We use it at our school to test students understanding of the books they read. The cons of using this tool are that it costs money, some of the questions are difficult or tricky, and students can guess because of the multiple choice aspect. Some pros of using this are that the students can do it at any time, its quick, it grades itself, and teachers can access it to keep track of information in regards to how the students are doing on the tests. I went to an elementary school that used AR. As a student, I didn't like it because when my school used it I could not take tests on the books I was reading. I didn't want students to feel as discouraged as I did. So if a student wanted to read a book that wasn't found on AR they could write a Fab 5 Summary of the book or do a FlipGrid explaining their book and how they would rate it. There are so many ways one could check student understanding. What I think is important is that in some way we are checking for student understanding to better help students in the classroom. One way of helping them is showing them how to choose books that are a good fit. Long story short (too late...whoops lol) I have really enjoyed taking this once crazy idea and bringing it to life this year. Things lined up great to really allow my big dream to take flight and I truly feel like it has made a difference in our school. When you hear students say things like, "I have read so much more this year!" Or, "I loved these books and I can't wait to read more after the challenge." You can't help but smile. 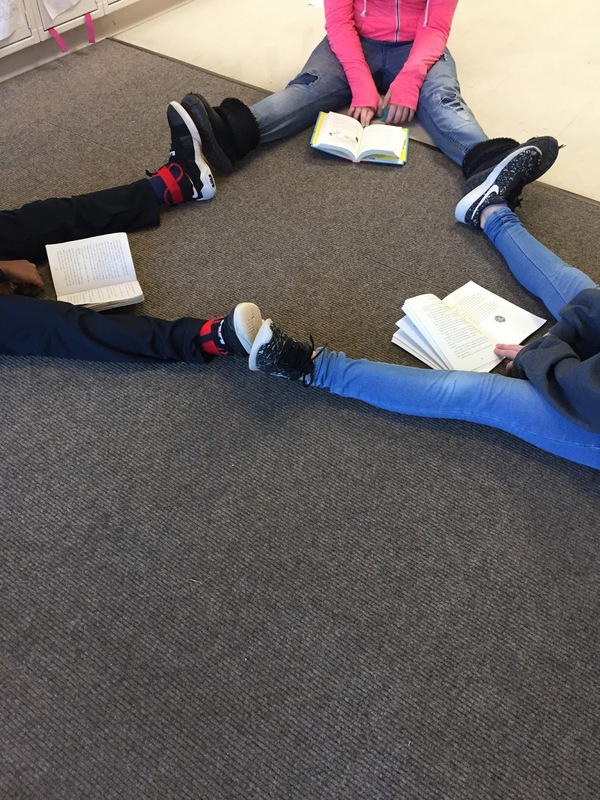 The ultimate goal was to promote reading and allow students to foster the love of reading. I would say it was a success! My hope is to continue this challenge and to adapt it, change it, and make it something our school is proud of! Let me know what you do to encourage readers of all ages?